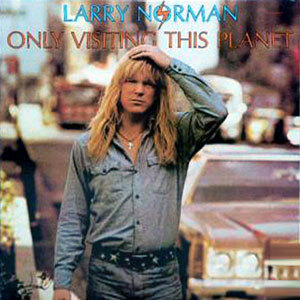 I found out late last night that Larry Norman, the original pioneer of so-called “Christian” rock, died this past weekend. You can see some details and some of his last words here at his website. In some of my formative years (ahem, the Eighties), Larry had a big impact on me, and I listened to his music a lot… even listened to the Only Visiting This Planet album on vinyl! I have played and sung several of his songs on my own guitar, including The Outlaw (my fave), I Wish We’d All Been Ready, and Why Don’t You Look Into Jesus? Many have lamented the direction that Christian music ended up going after Larry; I won’t really re-hash that here (though I could). Suffice it to say that for all his faults and faux pas, Larry was the real deal, bringing a prophetic voice and the boldness of a true evangelist into the church and the music scene when it was not cool or popular to do so. Larry will be missed, but may his heart and the Spirit that he carried be revived again in the hearts of musicians and believers in Jesus everywhere! Blessings to Larry’s Fam and all who are grieving today…. Recommended reading: From the CT Liveblog (here), and an excellent tribute (written a few years ago) to Larry Norman– and thoughts on the Christian music scene (here).